BAC students and Crandon Gustafson, Head of the School of Interior Design, are currently on the Florence Summer Semester Study. 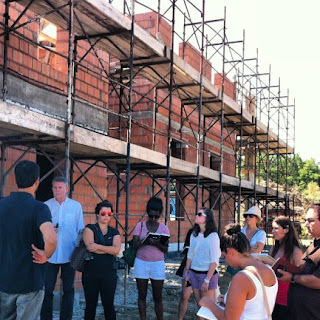 Recently they visited Emu Architects, an architectural design firm, for a day trip to discuss sustainability in Reggio Emilia, another city in northern Italy. Click here to see photos of their visit, and a write-up of the occasion by Mariana Pickering, co-creator of Emu Architects.